Looking for the best (i.e., cheapest) way to buy bitcoin (BTC) with a debit or credit card in the UK? Although Coinbase is a popular and well-recommended option, Coinbase is NOT the cheapest way to buy bitcoin (BTC) with a debit or credit card in the UK (4% fees). In this post, I’ll quickly highlight the absolute cheapest way (less than 0.5% fees!) to buy bitcoin (BTC) with a debit or credit card in the UK. Remember: I’m not a financial advisor. Check out my full disclaimer. If you want to buy bitcoin (BTC) with a debit or credit card in the UK, you should be using Wirex. Compared to Coinbase (the cheapest alternative) you’ll save approximately 3.5% in fees if you buy bitcoin using Wirex. Wirex’s rates (about 0.5% markup) beat every other option (by a VERY significant margin) which allows you to purchase bitcoin with a debit or credit card in the UK. Their rates also tend to undercut lots of sellers on Localbitcoins and BitBargain. When I tested them, their bitcoin rates were between 0.3% and 0.5% above the mid-market rate. How is Wirex so cheap? Most companies work with third party providers – but we have our own platform and implement most of the payment logic in house, which results in cost efficiencies. We also Integrate with the biggest exchanges and OTC traders, which means we are able to get the best possible real-time rates. Our favourable rates are here to stay – we have been building our platform for over 4 years and we are constantly refining it along with our products and services. As we add more liquidity providers we are anticipating that our fees will get even cheaper. And they were right. With the release of Wirex 3.0, they slashed their rates from 1.5% to less than 0.5%. 4* Trustpilot Rating (200 reviews). Cheapest way to buy bitcoin with a debit/credit card in the UK (<0.5% markup). Verification required (i.e., cannot purchase anonymously). Only supports 3D secure debit/credit cards. Cannot sell bitcoin without buying a virtual or physical card (£1/month fee). When you’re buying bitcoin from Wirex, make sure you select ‘GBP’ as the currency you want to pay with. If you don’t, most banks will charge a non-sterling transaction fee (~2.75%) and a non-sterling purchase fee (~£1.25). I managed to (somehow) screw this up the first time I tested Wirex. Don’t make the same mistake! To doublecheck this, go to Account > Preferences > General > Currency Account and make sure that British Pound (GBP) is selected as the reference currency. Your bitcoin purchases are initially stored in their web wallet. I’d recommend you withdraw it ASAP to your own bitcoin wallet. 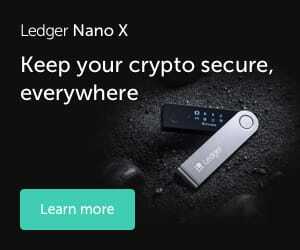 If you haven’t already, consider getting a hardware wallet like the Ledger Nano X. It looks like they set network fees to guarantee entry into the next block, which means the transfer should usually complete within an hour. If you’re not transferring the bitcoins to your own wallet, at least enable 2FA in Wirex’s account settings. Wirex offers virtual and physical debit cards which allow you to spend cryptocurrencies via instant exchange into GBP, EUR, or USD. Wirex charges a £1/month maintenance fee to keep the account open. You do NOT need this. If you want to completely ignore this, it won’t impact your ability to buy bitcoin with your bank card. However, it doesn’t look like you’re able to sell bitcoin back to Wirex without having one of their own debit cards. Want to learn more about Wirex 3.0? Check out my hands-on Wirex review. 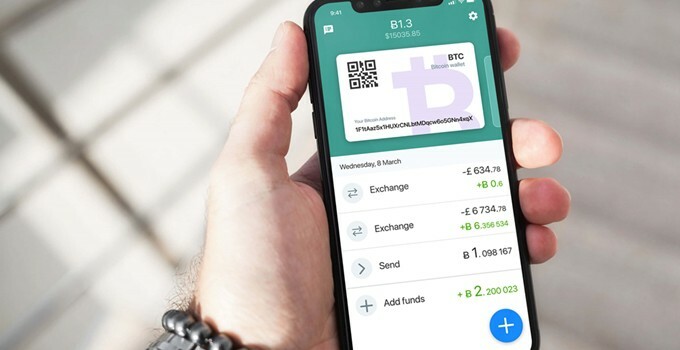 It’s the #1 crypto debit card in the UK in 2019. I stumbled upon this when checking BittyBot and thought that there must be hidden fees somewhere. Wirex genuinely seems like the easiest and cheapest way to buy bitcoin with a debit card in the UK. Wirex is actually offering rates which are undercutting the best prices on Localbitcoins, BitBargain, Bittylicious, and BeyondCC (UK bank transfer methods).